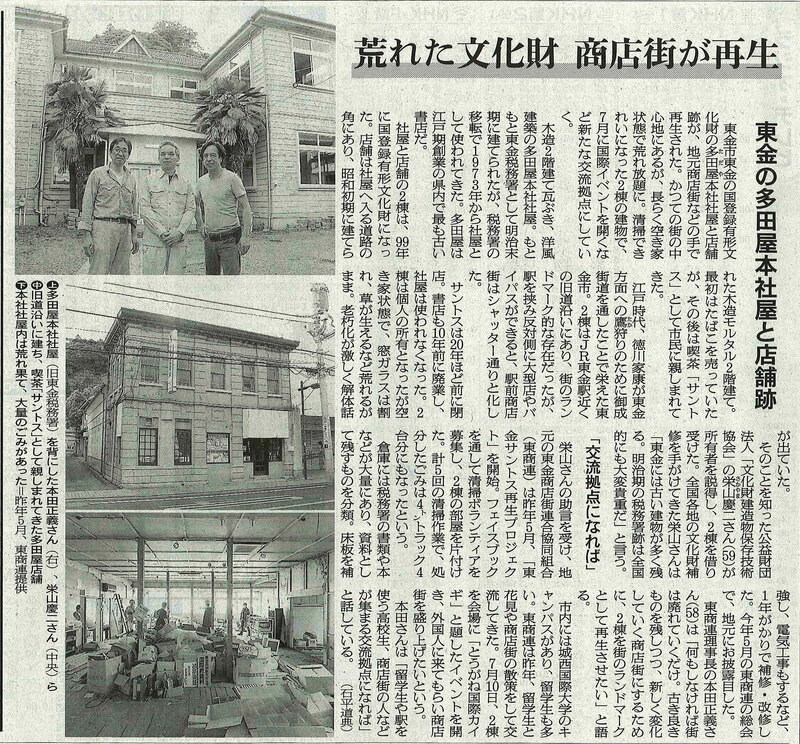 東商連(Toshoren） is common name of “Togane Shopping Street Union Cooperative”. 東商連is located along the street at the west entrance side of JR Tōgane Station. From North to South, there are more than 100 shops in this area. We would like to welcome you abroad, and feel enjoyable staying in this town. 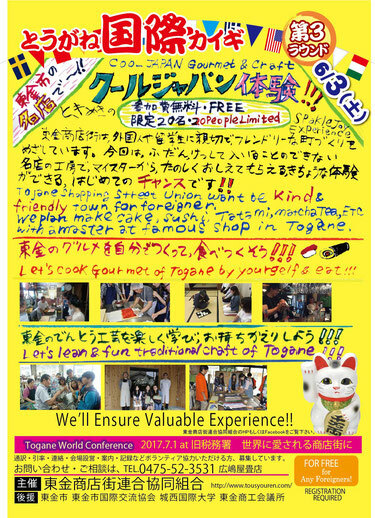 We also want you to visit each stores of 東商連that you can meet amusing Togane people. At this moment, we know that 東商連 confront many problems like “Population Aging”, ”Shortage of Succesors”, and”Vacant Stores called Shuttered Streets”. Now東商連 start making effort to become attractive and beloved street by the world people, and we want you to help finding charm point of this area. Please tell us what you think of outstanding point in 東商連! In the “Togane World Conference”,on ９th. July , we want you to join us talking about 東商連 to be Famous of Foreigner- Friendly in the near future. 東商連(Toshoren） is common name of “Togane Shopping Street Union Cooperative”.東商連is located along the street at the west entrance side of JR Tōgane Station. From North to South, there are more than 100 shops in this area. We would like to welcome you abroad, and feel enjoyable staying in this town. We also want you to visit each stores of 東商連that you can meet amusing Togane people. At this moment, we know that 東商連 confront many problems like “Population Aging”, ”Shortage of Succesors”, and”Vacant Stores called Shuttered Streets”. Now東商連 start making effort to become attractive and beloved street by the world people, and we want you to help finding charm point of this area. 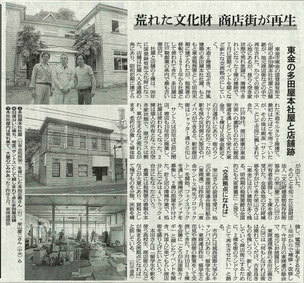 Please tell us what you think of outstanding point in 東商連!In the “Togane World Conference”,on ９th. July , we want you to join us talking about 東商連 to be Famous of Foreigner- Friendly in the near future.